The legendary Eddy Merckx is turning 70 years old this year, on June 17, 2015. 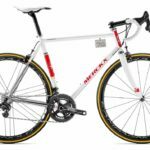 To celebrate, the bike brand that bears his name, the Eddy Merckx Cycles is producing a limited edition, modern, high quality stainless steel racing bike: Eddy 70. There will only 70 examples be produced, and first specimen (No 1) has already been reserved for Eddy Merckx himself. The other 69 bikes will be available from September at a selection of bike stores. The frames of the new bike will be TiG-welded, painted and polished in-house at the Eddy Merck Cycles factory in Zellik. 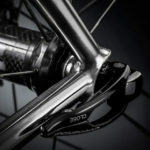 Since Eddy Merckx has always been the most prominent ambassador for Campagnolo, the famous Italian brand has agreed for the first time to customize their components used in this limited-edition bike. The EDDY70 is a limited edition, state-of-the-art instrument of victory with a design reminiscent of the Faema chapter of Eddy’s cycling career. And although the material it is made of refers to the steel age of cycling this is a modern high-tech and high-performance racing bike. 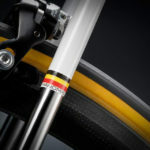 Moreover, it is handmade in Belgium by one of the best technicians who spent his entire career working with and for Eddy Merckx himself. This extraordinary limited edition bike is hand made and comes at the price of € 14,000 / $ 17,500 of which the first 25% is to be paid immediately (€ 3,500 / $4,375) by credit card, a second 25% within 24 hours after placing your order, and the remaining 50% is to be paid after your personal production process is finished. The price includes everything from bike, transport costs and import duties to photo book and personalization by the greatest cyclist ever. As of 28 January you can place your order for one of the 69 other bikes through this website. It will be specially built for you by Johan Vranckx, Eddy Merckx’s “inside man”. Special Campagnolo Super Record crankset with the Eddy70 badge on it. Each bike will be painted in an homage to Merckx’s 1968 Faema, which he rode to victory at Paris-Roubaix and the Giro d’Italia. The Belgium flag on the seat stays. 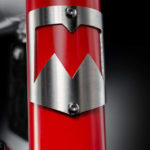 The Cinelli Neos seat pillar is made of monolithic aluminium 3D forged and reinforced with unidirectional carbon fibre. As a professional cyclist, Eddy has always appreciated the quality of the Cinelli products and has no qualms about calling himself a fan of the brand. Cinelli also wanted to celebrate Eddy’s 70th birthday by bringing out a special edition of this cockpit and seat post. Buyers will choose their own frame number, between two and 70. Number one belongs to Eddy Merckx himself. 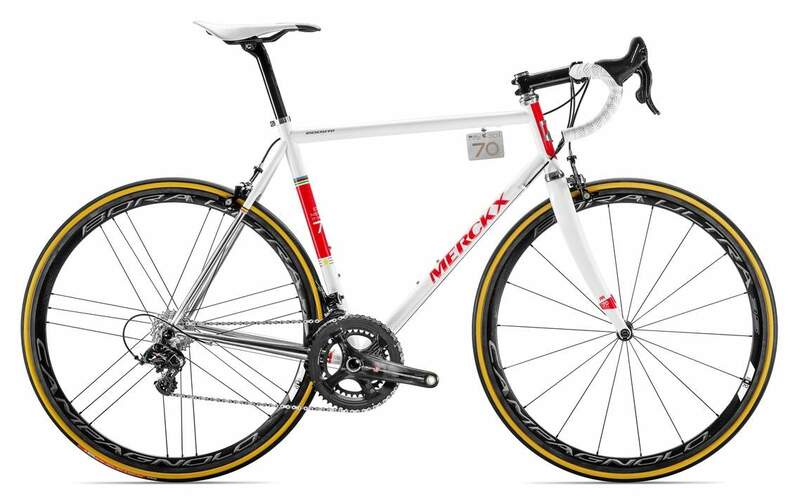 Eddy Merckx will autograph the number plates and any one part of the frame, per the buyer’s request. 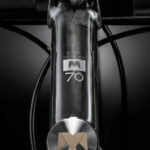 Head tube and seat clamp are made in Belgium out of stainless steel and carry the ‘M’ logo. Frames will be TiG-welded, painted and polished in-house at the Eddy Merck Cycles factory in Zellik. The bike is built using Columbus’ top of the line XCr tubing. Eddy70 bike – Campagnolo Bora Ultra 35 Wheels with M70 logo. Eddy70 bike is coming with a Photo Book.